After suffering through oppressive heat and power outages neighborhoods attempted to slowly clear the debris – but it may be the weekend before everyone has power again. NBC's Tom Costello reports. With power, and air conditioning, still out in nearly 1.3 million homes and businesses -- and many of those not likely to be reconnected for days -- triple-digit temps returned to some central U.S. cities on Tuesday. Even more areas were forecast to reach or top 100 over the next few days as the heat once again expands eastward. Parts of Montana and Wyoming topped 100, while St. Louis saw 100 degrees by 4 p.m. on Tuesday -- and with the humidity it felt like 104. Kansas City, Mo., reached 99 degrees but it felt like 103. Minneapolis, Minn., only got to 95 but it, too, felt like 103. Dozens of other cities, many of them hit with power outages during the fierce storms last weekend, were still sweltering with yet another day in the 90s. The National Weather Service early Tuesday issued excessive heat warnings for parts of Minnesota, Wisconsin, Indiana, Ohio, Illinois, Missouri and Kentucky. That heat will expand "eastward over the next few days," it added. "Much of the eastern third of the country will see a resurgence of the heat experienced last weekend." A sign bears the bad news for members of Sleepy Hollow Bath and Racquet Club in Falls Church, Va., on Tuesday. 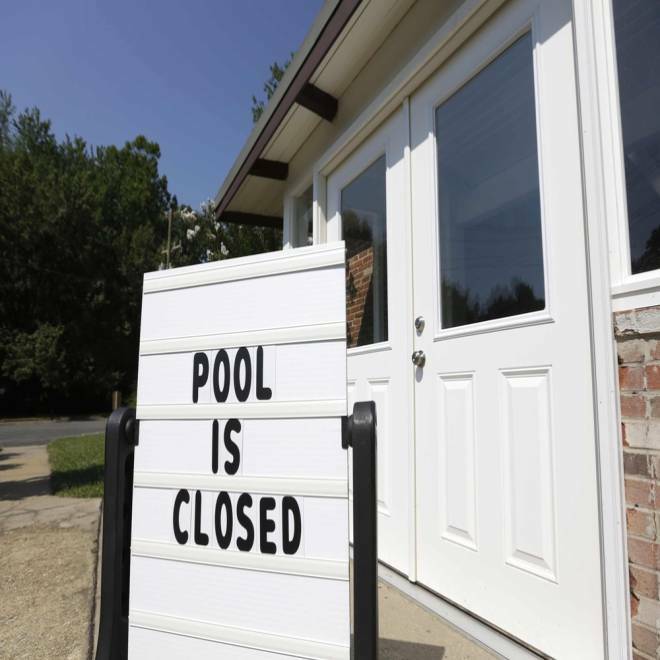 The pool has been closed since last Friday night when a violent storm caused massive power outages in the Washington area. The July 4th forecasts include: St. Louis at 104; Kansas City at 102; Little Rock, Ark, at 101; and Memphis, Tenn., and Minneapolis at 100 degrees. On Monday, the power outages were reduced by about a million customers. But residents and businesses were still struggling with outages in Indiana, Kentucky, Maryland, New Jersey, North Carolina, Ohio, Pennsylvania, Tennessee, Virginia, Washington, D.C., and West Virginia. In Washington, D.C., where blackouts are a frequent problem in the summer months, Mayor Vincent Gray urged President Barack Obama to declare a state of emergency. 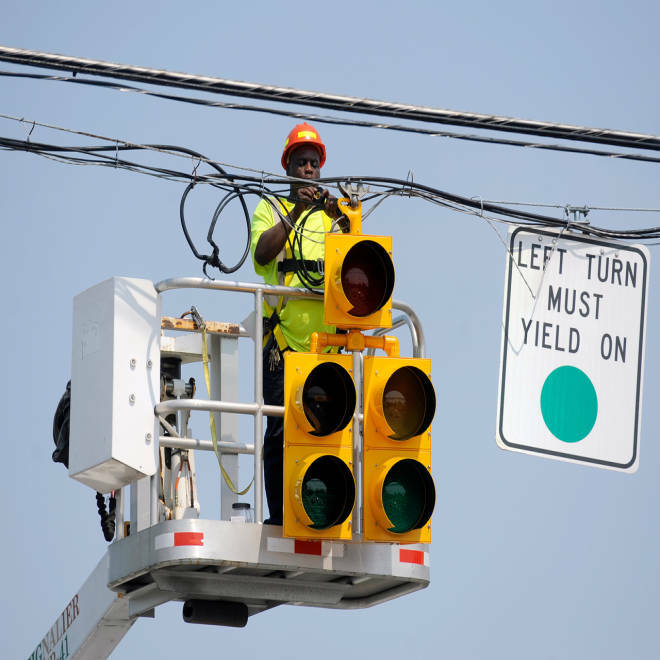 "I think people are fed up with power outages, and we need a game-changer," Gray said. "We need an approach now that's going to stop this in the first place." In Chicago on Monday, more than 250,000 Chicago-area customers were knocked offline by Sunday's storms; that number was reduced to 48,000 by Tuesday morning, NBCChicago.com reported. In Ohio, some 300,000 customers remained without power. As nearly 1.5 million people across the country woke up Tuesday to another day with no power, the National Weather Service warned dangerously high temperatures would be persisting through the end of the week in some states. Much of the devastation to the power grid was blamed on last weekend's rare "super derecho," a storm packing hurricane-force winds across a 700-mile stretch from the Midwest to the Atlantic Ocean. The derecho moved quickly with little warning. The straight-line winds were just as destructive as any hurricane — but when a tropical system strikes, officials usually have several days to get extra personnel in place. So utility companies had to wait days for extra crews traveling from as far away as Quebec and Oklahoma. And workers found that the toppled trees and power lines often entangled broken equipment in debris that had to be removed before workers could even get started. The largest U.S. home and auto insurer, State Farm, said it had received about 29,000 claims from last weekend's storms, more than three-quarters of them for house damage. USAA and Nationwide said they had received more than 12,000 claims in total from the weekend storms. Most were for home damage. Officials feared the death toll, already at 23, could climb because of the heat and widespread use of generators, which emit fumes that can be dangerous in enclosed spaces. The Weather Channel’s website, weather.com, said the worst heat on July 4 would be located over the central states, with parts of the Midwest seeing highs about 5 to 15 degrees above average. “The sultry conditions will also extend eastward into the Mid-Atlantic, including Washington, D.C., and Philadelphia,” wrote weather.com meteorologist Chris Dolce. “Parts of the Southeast may deal with pop-up afternoon and evening thunderstorms, particularly in the southern Appalachians and south Florida,” he added. Cooling centers for residents who don't have air conditioning have opened up across the country. In Virginia, in response to the number of cooling shelters in the area that don't allow animals, a gourmet pet bakery opened up a cooling center just for pets, wamu.org reported. In Wheaton, Ill., a suburb of Chicago, July 4 fireworks and a parade were canceled due to damage from Sunday's thunderstorms. "I don't think there's a block of houses that doesn't have half a dozen trees down, or parts of trees. It's a real mess to get around," resident Donald Sender told NBCChicago.com as he refueled his generator.